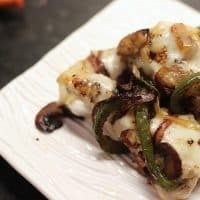 Before the holi-crazy takes off, I’m building a list of easy-and-keto meals to use during the week so I can limit the nights of aimless snacking on party foods. I had a dish similar to this in Estes Park, Colorado this summer. It has been on my mind since June and I finally made it this week. It’s not just easy, but the flavors of basic vegetables and chicken are perfect for a weeknight meal. 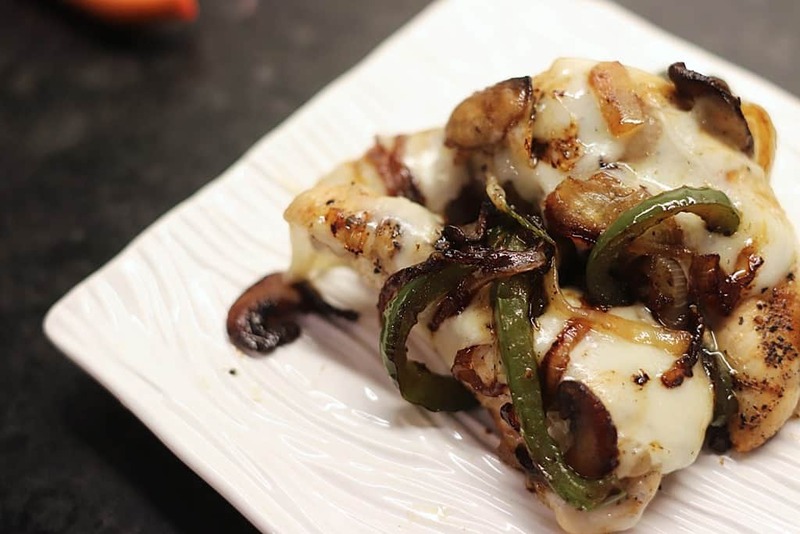 Grilled chicken with sauteed peppers, onion, and mushrooms. Thinly slice peppers, mushrooms, and onions. Preheat butter in large skillet over medium-high heat. Add vegetables before butter begins to brown. Cook vegetables until tender, but still a little crisp. Remove from pan. Add chicken tenderloins and sear both sides in leftover butter and vegetable bits. Add broth. Cook chicken completely. Add vegetables back to pan. Add cheese. Lower heat to low, cover until cheese is melted. Serve immediately.